What is the Bucks County Court Conciliation and Evaluation (CCES) Program? The Court Conciliation and Evaluation Service, also known as the CCES program, is a Family Law program unique to Bucks County and provides the parties in child custody litigation (whether the parents, grandparents, or other concerned parties) with a more inexpensive way both to help them resolve their issues and to provide a written report with evaluations and a recommendation to Bucks County Family Court, if required. The goal of the CCES program is to help the parties in a child custody case reach an agreement on custodial issues in dispute, to help curb tension between parties (which can also negatively affect the child or children involved), and to reduce the impact of divorce on the child or children. How many sessions are involved with the CCES program in Bucks County? The CCES program generally consists of six to eight sessions. Each parent (or party) is interviewed by the CCES counselor; the child or children are interviewed or observed; and joint sessions are held to provide feedback to both parents (or other parties involved in the child custody case) regarding the custody issues in dispute, to provide feedback and reassurance to the child or children, to draft custody agreements, and discuss the CCES counselor's impressions. How does CCES in Bucks County affect my child custody case? Parents, grandparents, or other concerned parties involved with a child custody case in Doylestown must understand how CCES can affect their rights and obligations. Those who participate in the CCES program must waive their right to subpoena the CCES counselor to testify, and must agree to the admission of the CCES counselor's report into evidence. Applications for participation in the program are processed through the Bucks County Custody Master's Office. The Custody Masters Office is located on the lower level of 30 E. Court Street in Doylestown. The phone number to the Bucks County Custody Masters Office is 215-348-6844 and the fax number is 215-348-6792. How does the CCES program in Bucks County cost? Participation in the CCES program costs a minimum of $910 per parent for a family with one child. Additional CCES sessions, which are required when the family consists of more than one child or when there are additional adults must be interviewed, are a minimum of $100 per CCES session. The cost of the CCES program may be subsidized in full or in part by Bucks County for low-income people. Subsidy forms are available at the Custody Masters Office; located on the lower level of the Bucks County Family Court building as noted above. Federal poverty guidelines are used by Bucks County to help evaluate a subsidy request for CCES participation. Where is the CCES program located in Bucks County? Anthony W. Clark, LCSW, is the Director of the CCES program. The CCES administrative office is located at Bailiwick Campus II - Suite 56, 252 W. Swamp Road, Doylestown, PA 18901. The phone number to the CCES Administrative Office is 215-348-8212, and the fax number is 215-348-0329. At least 13 other psychologists or social workers are employed by the CCES program, which has offices in Chalfont, Doylestown, Jenkintown, Langhorne, Morrisville, Newtown, Richboro, and Yardley. The stakes can be high when Bucks County Family Court decides the custody of a child or children. A Family Law attorney can help you achieve your goals, whether custody issues are resolved at with the assistance of the CCES program, or if the custody issues have to be resolved through more formal means. Whether the petitioner or respondent in a child custody case in Doylestown, a Pennsylvania attorney experienced with Bucks County Family Court practice and procedure can help you navigate the steps required, including whether CCES is a good option to help resolve your custody case. Contact attorney Joseph D. Lento today to learn how he can help. "I pride myself on having heart and driving hard to get results!" 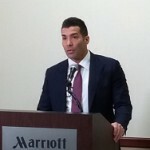 Joseph D. Lento has more than a decade of experience advocating for his Family Law clients in courtrooms in Philadelphia, the Pennsylvania counties, as well as New Jersey. He does not settle for the easiest outcome, and instead prioritizes his clients' needs and protects their interests.